Author Gary B Rohrabaugh just sent me some preview pages for this new book called Exploring Illusions. It's a book on optical illusions, not the M.C. Escher type but more on spatial relationship and contrast between shapes. I didn't even know that there are different categories of optical illusions, like using circles, white space, motion, curves, etc. The book features over 30 painting illusions together with the working process. It's quite interesting. I didn't know that to paint black, you still need to add a layer of colour beneath it. The selected ones are actually from Computer Aided Design (CAD) before they were painted. 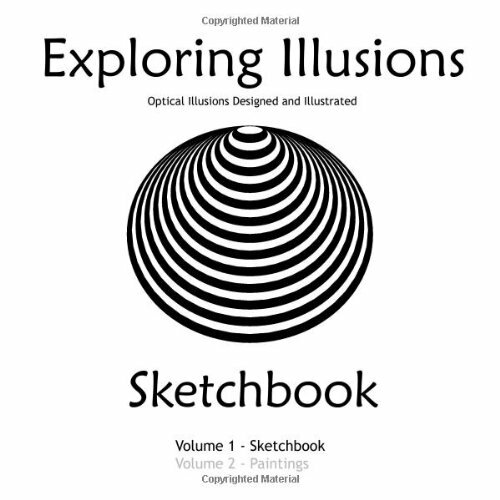 Readers interested in optical illusions can check this book out.